Think back to your first yoga class. Do you remember how you were introduced to yoga, and what piqued your interest enough to try it? And after your initial yoga experience, how many people did you share it with and invite to the next class? Blissful yoga students want to share the experience of yoga with the people they love, as your passion to share the joy of yoga with others was no doubt one of the drivers behind opening your studio. To guide your outreach to others, you may have thought about marketing activities – posting flyers, sending postcards, community yoga advertising – all viable options. But did you think about tapping one of the most powerful vehicles in our communities today: the word of mouth? Well, you should. Tap the Word of Mouth in Your Community and Ensure the “Buzz” Is About You. 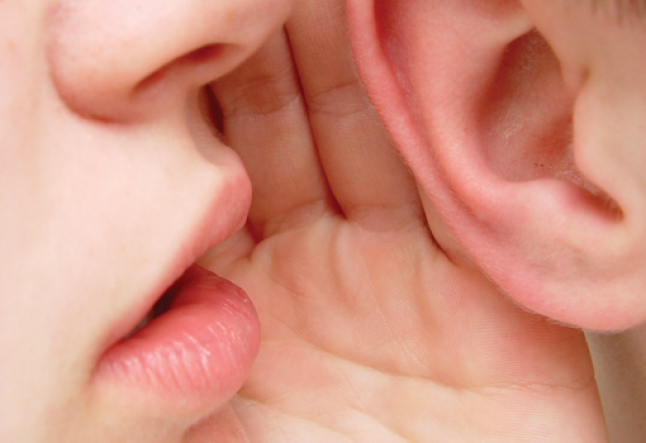 Word of mouth is the act of a customer sharing his or her experience with another person. Word of mouth marketing is giving customers a reason to talk about your studio and making it easier for that dialogue to take place. A recent survey analyzed the effect of word of mouth communication and found 85% of Americans polled said that comments from friends, family members, co-workers and others carry more weight than advertising (Harris Interactive study, December 2005). Identify the individuals in your community most likely to share their experiences. In the public relations industry, we call these individuals “influencers,” and in The Anatomy of Buzz, author Emanuel Rosen calls them “network hubs,” individuals who communicate with more people about a certain service than the average person does. You know who they are. Think in your life about the friend who’s the first to show you the latest fashion trend, electronic gadget or handbag that’s a “must have.” The influencers are always in the know and at the center of conversations at dinner parties, around the office water cooler or at the dog park. So how do you influence those conversations? Think about where potential students may hear about your yoga studio. • Where do they seek health and wellness advice? Physicians, nurses, chiropractors and massage therapists are serving clients every day in your community, but are they sending their clients to your yoga studio? Develop relationships with the “health experts” in your community. Call them and ask them to post flyers, brochures or yoga business cards in their offices. • Know the large employers within a ten-mile radius of your studio. Our society is overloaded with employees seeking stress relief. HR managers are responsible for keeping their employee base happy, motivated and healthy. Call them and provide information on your studio schedule and hours, offer a corporate workshop or ask them to post your flyers in the break rooms. • Know where your target market obtains their news. Which local and community magazines, newsletters and reporters are the most widely read? Develop relationships with these individuals who easily reach hundreds, sometimes thousands of prospective clients. They should be first on your call list when you’ve got news to share. • Identify the social “hubs” in your target market. Be a part of the communities you want to serve. Attend local chamber of commerce events, networking groups, community fairs and charity events. Have your elevator speech ready, postcards and flyers in tote. Identify the groups that own large email distribution lists, host local blogs or social websites that are read by thousands. Choose the organizations with the greatest reach and access to your potential market, and provide a credible platform to generate a dialogue about your studio. Don’t Overlook the Influencers Within Your Own Four Walls. Do your students feel like they’re part of a community, and are they proud enough of the community to go share it? • Empower your current students and teachers to share their experience with their friends and families. A satisfied student is the greatest third party endorsement. • Create an enthusiastic community and ensure that you capture and value student feedback: positive, negative or neutral. Promptly and honestly respond to each student’s concerns. Provide Tools to Make It Easy to Share the Experience. Are you sharing all of your studio’s offerings with students? I recently returned to a yoga studio where I used to take classes, and was asked why I didn’t take my teacher training with them. The answer: I had no idea they had a nationally recognized teacher training program, because no one at the studio ever communicated to me or invited me to explore the opportunity. Ensure that your teachers are announcing the latest workshops, trainings, products and other services. • Place well-designed postcards or brochures with studio times and schedules in a convenient location, where students can grab one on their way out. At any one time, thousands of conversations are occurring in your community, linking like-minded yogis with yogis-to-be. Ensure that your marketing strategy takes full advantage of the word of mouth and encourages vehicles for the buzz to spread. Know the influencers in your community and give them something to talk about – such as catching next Tuesday’s class at your studio.